Happy first day of spring! Hope you all had a great week last week and a fantastic weekend as well. I was missing in action, as I spent the week in Texas with my daughter’s family. Her two small children had spring break from their pre-school program. We spent the week doing kid stuff every day; playing pirates, picnics in the park, train rides, movies and visiting an amusement park catered to special needs children, but perfect for little’s of any age. By the weekend, this Nannie was worn out, but would not have traded the time spent for anything. Lucky for me, we also fit in time for some pictures, taking advantage of one of many daughters many talents; photography. Texas has such fun backdrops and beautiful landscape. Today, I am collaborating with my friend, John Wind; you can find his Modern Vintage line here. 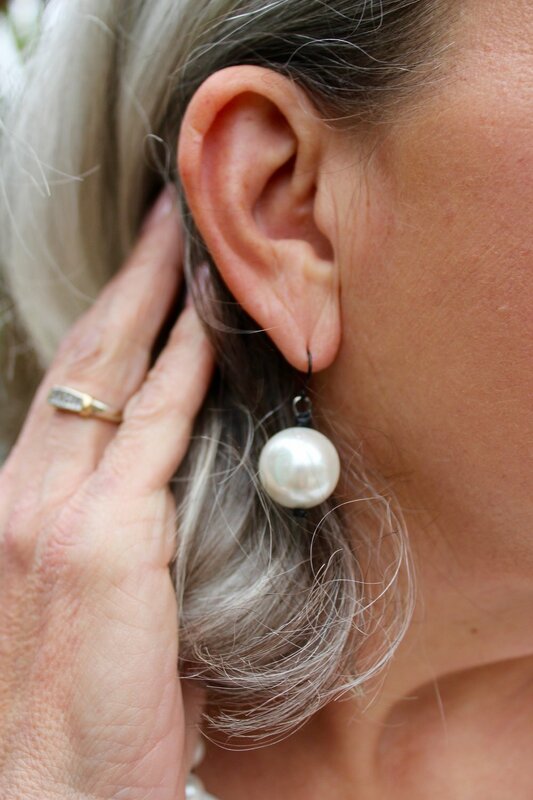 As part of his spring line, John asked me to introduce you to his new-knotted pearl line, which I love. You can wear this piece as a bracelet or as a necklace, as shown. 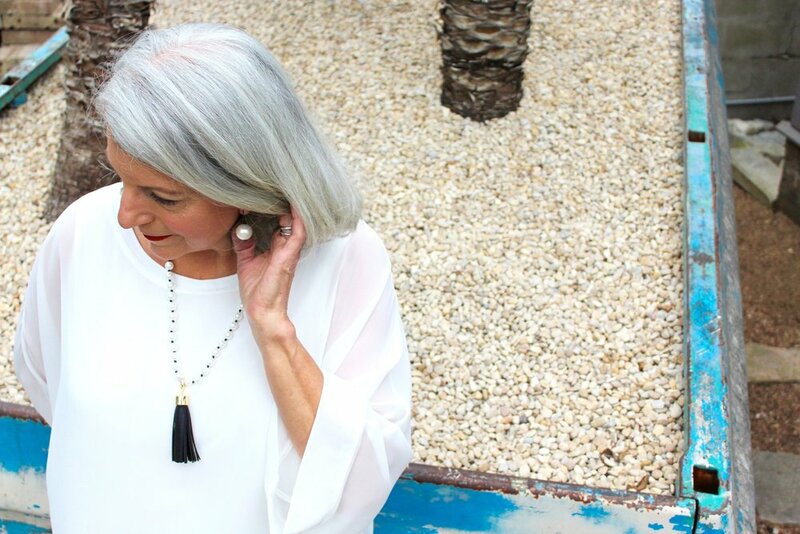 I added a black tassel, but John offers other adornments that will compliment any outfit. The collection also has matching earrings. I am wearing a Joan Vass White silk top from the closet, and William Rast Black jeans, details in the gallery below. Lucky for you, John and I are doing a giveaway for my readers on Instagram. So be sure and to enter for a chance to win the exact JW pieces, I am wearing. Also, if you would like to browse the rest of his website and to find some additional wonderful pieces, John also is offering a 15% discount to my followers and readers on your next JW purchase with code: SPRINGFLING. Thank you to John Wind Maximal Art for sponsoring this post! All opinions are my own. I only feature and promote, what I find valuable to pass along to my readers. Have a great week, lovelies and as always, thanks for stopping by and reading!